Businesses face many IT challenges today that can greatly affect their bottom line. Increasing costs for current infrastructure, the continual addition of new applications and services, complex network environments that require specialized skills, the demand for adaptability and agility, plus heightened security risks are just some of the key challenges faced by IT professionals. Plus the projected network complexity continues to grow with no end in sight. With NEC’s Smart Enterprise vision and direction, Unified Communications (UC) enabled with Software Defined Networking (SDN) can have great benefits for organizations and businesses. NEC’s UC-SDN solution can help businesses overcome these challenges and future-proof their network and communications environments. This is accomplished by integrating the management of UC, networking and IT security to improve performance, security, manageability and quality of user experience while reducing the cost and complexity of delivering mission critical real-time applications. NEC’s ProgrammableFlow SDN is at the core of the UC-SDN solution and it was the first commercially available Software-Defined Network solution to leverage the OpenFlow protocol. Network administrators leverage NEC’s SDN technology to achieve greater service agility through network automation and are able to control costs by consolidating network equipment. 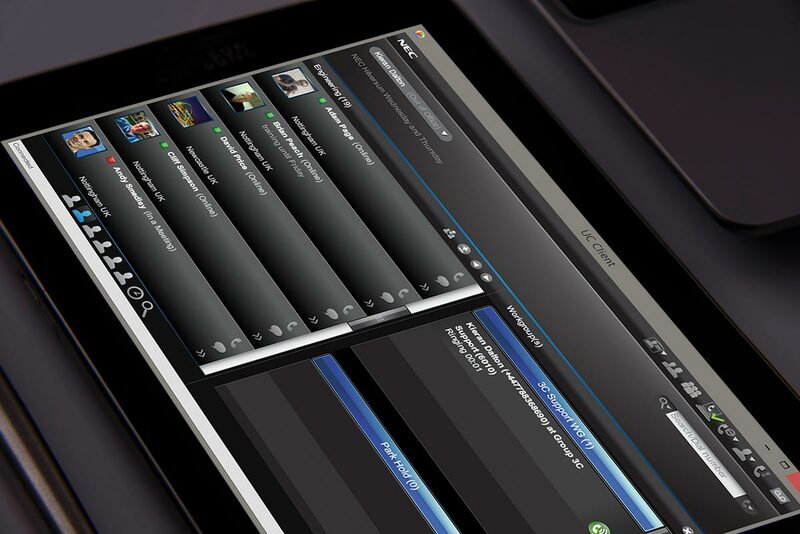 NEC’s ProgrammableFlow SDN solutions simplify network operation and increase network visibility, improving service levels by fine-grained control and visibility of network traffic. Since Unified Communications is enormously dependent on the underlying network, ProgrammableFlow SDN is the perfect high-performance architecture that can sustain traffic peaks with low latency, jitter and packet loss, and support real-time interactive communications. By automating and simplifying network administration, a Smart Enterprise can achieve greater business agility and unify the deployment and management of network services and applications through one programmable interface. Software Defined Networking enabled UC automates and simplifies a Smart Enterprise’s network administration to achieve greater business agility. 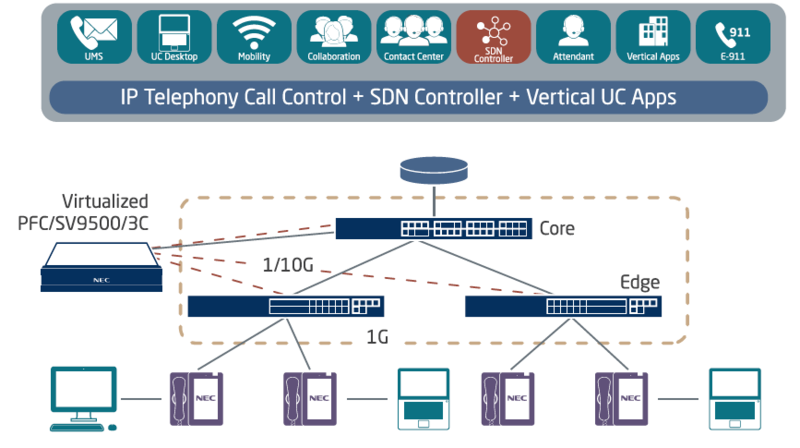 UC on an SDN Network – Why? Implementing NEC’s UC-SDN solution offers tremendous and significant Capital Expenditures (CAPEX) savings. The significant savings are achieved via NEC’s ProgrammableFlow virtualization and abstraction capabilities. With its resilient architecture, NEC’s UC-SDN solution also offers improved Operating Expenses. By virtualizing the network using NEC’s SDN, the network administrators no longer need to spend time and money to handle extremely complex infrastructure. Unlike traditional networks, the additions, movements or changes of UC endpoints in the network can be easily managed by the centralized controllers with minimal manual interventions. This leads to a reduction in network outages due to configuration errors, strengthened security with quicker and more targeted policy provisioning plus application adaptability via APIs that reduce deployment times and enable faster reactions to application requirements and events. SDN environment for many types of networks. In addition, many companies now support the OpenFlow protocol, allowing multi-vendor interoperability.